When you meet the culture of Greek people, you have to learn about Greek food. Without it the culture concept would be incomplete. 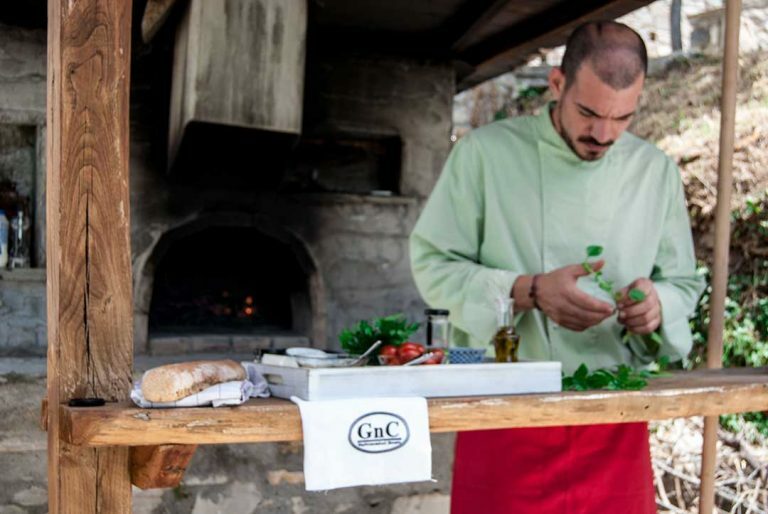 In collaboration with GnC Gastronomical events and their award winning team of Greek chefs we organize cooking workshop for all levels. In these workshops you are expected to learn the history of Greek food, where it originated from and the raw materials per region that shaped the food history until today. Also, if you plan visiting a specific region of Greece, this cooking workshop is ideal for you to have an idea of what you should expect, the trademark dishes of every region and the history behind them. As you dive deeper, you will explore more traditional techniques, more complicated dishes and more advanced cooking practices. In the final level you will be able to transform the most of the staple Greek recipes in order to integrate them to your everyday cooking because the taste and the benefits of the Mediterranean cusine are countless. First contact with the Greek Cusine. It is a two day course combining the entry and the intermediate level with an in depth analysis of the Greek kitchen. The cooking workshops are organized as a special cultural event and they are open to everybody who wants to participate. They are also always offered on demand. This year, we will be introduced in the secrets of Greek cuisine. We will learn what exactly premium products are and how we can use traditional and forgotten products in order to create new dishes which include all the taste and nutritional value, staying at the same time far away from the touristic menus which are imposed on all visitors of Greece by the creators of the all-inclusive packages. Our delicious journey to Greek tastes consists of three courses: starter, main dish and dessert. We will learn to prepare each of them and of course in each other’s good company we will eat the result of our hard kitchen work. Our workshop starts at 18.00′ and lasts until 20.30‘. The price includes the teaching, three courses and a glass of Greek wine and is 40€. Find our upcoming workshops, sign up and book a spot for our next workshop. For the Cooking Workshops Special Terms and Conditions apply.